The following cases have all recently been heard at Leamington Magistrates Court at the Warwickshire Justice Centre. Paul Baynam, 28, of Arnold Place, Warwick was banned from driving for seven days, fined £120 and ordered to pay £30 for speeding. Karl Michael Timlin, 30, of Millbank, Warwick, was fined £660 and ordered to pay £151 costs for driving without due care and attention. Inderjit Digmotara, 34, of Southlea Avenue, Leamington, was banned from driving for 16 months, fined £390 and ordered to pay £174 costs for drink driving. Dragos Orzea, 30, of St Michael’s Hospital, Warwick, was discharged conditionally for 12 months and ordered to pay £20 costs for possession of cannabis. Macaulay Richard Burnett, 22, of Webster Avenue, Kenilworth, was banned from driving for 12 months fined £140 and ordered to pay £170 costs for driving under the influence of cannabis, driving without a licence and driving without insurance. Ashley Peter John Walker, 25, of Oaks Road, Kenilworth, was given a community order with 60 hours’ unpaid work and ordered to pay £75 compensation and £170 costs for harassment. Robert John Harding, 29, of Greville Road, Warwick, was fined £120 and ordered to pay £165 costs for being drunk and disorderly. Paul Ross, 46, of Sharpe Close, Warwick, was given a community order with 180 hours’ unpaid work amd ordered to pay £135 costs for theft. Justin Carl Theobold, 29, of Kingsway, Leamington, was discharged conditionally for 12 months, and ordered to pay £20 costs for possession of cannabis, criminal damage and threatening, abusive or insulting behaviour. Dean Kevin Marshall, 25, of Tachbrook Road, Leamington, was given a community order with 80 hours’ unpaid work, ordered to pay £1,850 compensation and £170 costs for two counts of criminal damage. 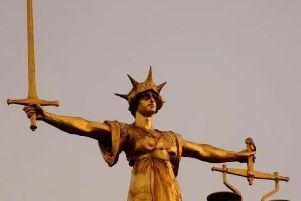 Harry Anthony Pierce, 24, of Aylesford Street, Leamington, was fined £120 and ordered to pay £115 costs he also had his driving record endorsed with six penalty points for driving without a licence, MOT certificate or insurance. Daniel McGuigan, 37, of no fixed abode, Leamington, was given a community order with a rehabilitation activity requirement and ordered to pay £50 compensation for assault. Amar Sharma, 29, of Cedar Avenue, Ryton, was banned from driving for 48 months, given a community order with 280 hours’ unpaid work and ordered to pay £485 costs for failing to provide a breath sample. Sagar Guuraj Deasai, 30, of Radford Road, Leamington, was banned from driving for 22 months, fined £692 and ordered to pay £204 costs for drink driving. Sophie Diane Adern, 26, of Astley Walk, Temple Herdewyke, Southam, was banned from driving for 23 months, fined £640 and ordered to pay £199 costs for drink driving. Darren Martin Hynes, was fined £155 and ordered to pay £215 costs for possession of cocaine. Luke Ward, 38, of Sutton Drive, Whitnash, was banned from driving for six months, fined £660 and ordered to pay £151 costs for driving without insurance. Stephen Smith, 55, of The Bank, Stoneleigh, was given a community order with 100 hours’ unpaid work and ordered to pay £250 costs for drink driving.